If you are tired of having to choose between the power of the command line and the ease of a GUI, Take Command is the perfect solution. Take Command supports existing CMD.EXE commands and batch files, and adds thousands of new features. If you are tired of having to choose between the power of the command line and the ease of a GUI, Take Command/LE is the perfect solution. Take Command/LE supports existing CMD.EXE commands and batch files, and adds thousands of new features. 4NT is a powerful replacement for CMD.EXE, the Windows command processor. It makes your command prompt far more flexible and much easier to use, supports existing CMD.EXE commands and batch files and adds thousands of new features. TCI is a graphical application that allows you to run multiple console applications (generally command processors, such as 4NT, CMD, bash, PowerShell, etc.) within a tabbed window. TCI is a graphical application that allows you to run multiple console applications (generally Command processors, such as 4NT, CMD, bash, PowerShell, etc.) within a tabbed window. You can attach and detach console sessions, cut and paste between console windows, and customize the toolbar to send commands or keystrokes to a tab. TCC/LE is a powerful replacement for CMD.EXE, the Windows command processor. It makes your command prompt far more flexible and much easier to use, supports existing CMD.EXE commands and batch files and adds thousands of new features. Mini-Desktop Organizer manages your disk drive with notebook peer-level directory tabs and pop-up chilld menu. WinOne is a Command Language Interpreter, similar in concept to the shell CMD. WinOne is a Command Language Interpreter, similar in concept to the shell CMD.EXE, except that WinOne has been designed to enable you get the most out of your Windows operating system. Are you looking for a better Windows Command Line? a more powerful Command Language Interpretor (CLI)? or a comprehensive Command Line Interface? Would you like a better CMD.EXE or COMMAND.COM? WinOne Free is all of the above and much more! Easily and reliably handle parameters passed to your program on the command line. Allows you to automaticly handle double-quoted strings, support short and long parameter names, validate parameters, generate error messages, display help, and more! Easily handle command line parameters. Allows you to automaticly handle double-quoted strings, support short and long parameter names, directory and filename parameters, validate parameters, generate error messages, display help, and more! 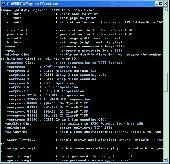 Softabar Command Line Email Client is a tool for business process automation. Use this tool to send, receive and monitor email, directories and files from a command line and from scripts. VeryPDF PDFPrint Command Line is a MS-DOS based tool for printing PDF to printers or virtual printers. Small console utility that can be used to send the messages from an command line, like Net send command in the Windows NT, Windows 2000, Windows XP and Windows 2003 Server. But our utility Netsend.exe works in all Windows versions. Small console utility that can be used to send the messages from an Command line, like Net send Command in the Windows NT, Windows 2000, Windows XP and Windows 2003 Server. But our utility Netsend.exe works in all Windows versions. NetSend is Winpopup and Net send Command compatible. Active Directory Command Centre is a tool that lets the administrator easily create/modify/remove and export active directory objects. . Active Directory Command Centre is a tool that lets the administrator easily create/modify/remove and export active directory objects. Professional command line tools for manipulating PDF files. Split, merge, linearize, scale, rotate, crop, encrypt, decrypt, watermark, bookmark, annotate, attach, impose etc. Professional Command line tools for manipulating PDF files. Split, merge, linearize, scale, rotate, crop, encrypt, decrypt, watermark, bookmark, annotate, attach, impose etc. Full manual provided. For Windows, Mac and Linux. With PDF to HTML Converter Command Line, converts Adobe PDF document to html file, and help you publish your PDF online easily. This application is an interpreter for the Zeno computer programming language. It requires Microsoft Windows 95 or later. It includes a text editor for creating, saving, and printing programs. Open PGP command line encryption. Automate encryption and digital signing from the command line - no user interaction required. Built-in scheduling, key management, batch automation, FTP and email, group encryption. Much less expensive than PGP. PDF to GIF Command Line Converter can convert PDF to GIF that is a raster image file used for web graphics. With VeryPDF PDF Stamper Command Line for Linux, you can stamp PDF files with images, text, graphic lines and rectangles. VeryPDF PDF Optimizer Command Line is designed for Mac system to optimize and compress PDF files by Command Line. Use PDF Merger Command Line, you can merge many PDF files to one PDF according to the order of the files in the list. WinOne® is a Command Language Interpreter (CLI), similar in concept to the shells cmd. Volume Serial Number Editor Command Line is advanced command line utility to modify disk drive's volume serial number (Volume ID), the format of Volume Serial Number is: XXXX-XXXX. Supports NTFS, FAT, and FAT32.